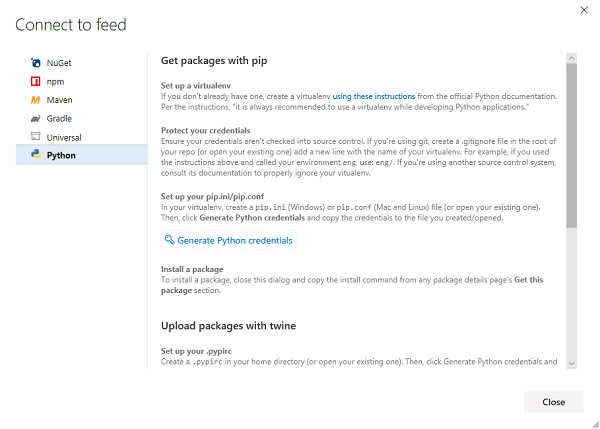 Recently Microsoft has unveiled the preview availability of its Python packaging (PyPI) capabilities for Azure Artifacts. "Create a feed(s) associated with your project to store your packages. Include packages from the public index into your feed (Upstream)." The instructions for configuring your tools to enable PyPI support can be found at links below. The company also asked developers to contribute feedback on its developer community forum.